Kettles have always been part of our daily lives. But a pour over, also called gooseneck kettle is a tad different from that. It does the same function as any kettle, but serves the boiled water in a way that’d help you make coffee as best as it could ever be. As a coffeeholic, we appreciate your decision to purchase a gooseneck kettle. 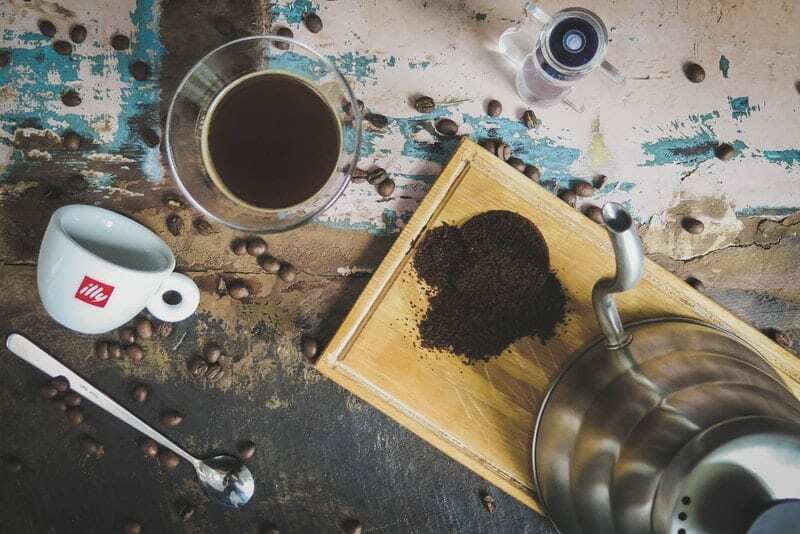 They not only facilitate even extraction of coffee grounds, but also to bring out certain flavors of coffee that you wouldn’t have tasted before. So I put together a list of the best pour over (goose neck) kettles on the market as of today. Sneak a peek and give your search a head start. Let's delve into the reviews of pour over coffee kettles one by one. Hario has always been one of my favorite models. Their products are simple and hassle-free, yet elegant in every way. This particular model tops them all, and manages to deliver one of the best-tasting pour-over coffee to date. The biggest selling point, however, is Hario Buono’s gooseneck spout. It’s long and slender, allowing water to be poured smoothly over your coffee grounds. This may not sound like it’ll make a difference to your final cup. But believe me, it surely does. Slow and even pouring makes coffee extraction consistent and coffee quality as high as it could ever be. The kettle features a handle that juts outward – away from the scorching stovetop. This thoughtful design will bless your hands. The steel body, on the other hand, is uniquely shaped like a beehive, adding a touch of elegance to your kitchen. On the downside, however, cleaning this kettle could turn out to be a challenge. It has an opening that won’t easily allow a hand in and a spout too narrow to be reached. I wouldn’t recommend it if you have hard water, unless of course you don’t mind the pain of filtering it separately. Hario Buono is by far the best in terms of functionality. It may test your patience when it’s time for a cleanup, and by the few extra minutes taken to boil water- but nothing can beat its functionality. The spout facilitates even coffee extraction, and that acts as the key to the delicious cup you’ve always wanted. If you love drinking a variety of tea and coffee, then Coffee Gator would come in handy. It has a built in thermometer right at the top of the lid. This thermometer is a game changer as it helps you figure out the temperature at which the water is boiling. So sticking to the ideal temperature for a variety of tea and coffee is pretty easy. The spout is one of the best as well. Shaped like a gooseneck, it’s long and slender enough to create a steady, slow stream. This may seem to be a minor design, but be rest assured that the coffee quality will increase substantially. The price, however, might strike you as quite high. But remember you’re getting a kettle with a thermometer, so it’s only reasonable to pay a few extra bucks. The build quality is great as well, and you’d love how solid it feels. Even the looks are undeniably lovely for something that’s going to sit on the stovetop and boil you plain water. Made entirely up of stainless steel, it shines and looks quite fancy like Hario Buono, only with the added advantage of a thermostat. The only concern I had was with the capacity. 1 liter is the advertised amount, but you will only be able to fill it up to nearly 750 ml. So that’s something you need to consider before placing a buy. On a side note, make sure you don’t burn your hand trying to open the lid. The design is such that the hot air vents from an opening near the thermometer. Coffee Gator is a must-have kettle for coffee enthusiasts. It has a gooseneck spout and a handy built-in thermostat. The body is as stunning, and it’s easy to love it from day one. All in all, this is a kettle, once bought, would make you call that money well spent. The biggest reason that brought Kalita into my list is the control it gives when pouring water. The stream is by far the steadiest – enabling you to pour it over the grounds without creating foam or destroying the flavor. The gooseneck spout is the reason behind it, as it’s more solid and wider than the Hario and Coffee Gator. You’ll notice that it’s located near to the bottom – enabling even the last drops of water to seep out. It’s also shorter, so cleaning is not going to be something you’ll dread. Cleaning, however, needs to be done with care. Though stainless steel, make sure you don’t scrub the body with something too rough or else you’ll end up leaving permanent scratches and scars on this beauty. The Kalita also lacks nothing when it comes to aesthetics. It has a lovely design with a wooden handle that you might even feel reluctant to light up a fire underneath. This design, however, is accompanied by a minor flaw because the handle sits quite too low on the kettle. As a result the stovetop will end up heating not only the water, but also the handle. So you need to either glove your hand, or be prepared with a piece of thick clothing before you get it off the stove. In terms of build quality, be rest assured that Kalita won’t disappoint you. It’ll live up to your money’s worth, so don’t let the price stop you from giving it a go. Kalita is an adorable kettle that does a splendid job at making pour-over coffee. It might not be the best, but the quality and functionality make it worth a buy. If those are your main concerns, then we don’t hesitate recommending it to you. To be honest, price was the initial reason that got me to Ovalware. Then the looks and functionality followed. In fact, what it does from a low price point is quite admirable. The gooseneck spout is my favorite of all, as it facilitates even extraction from coffee grounds and does magic to the final cup. The design, on the other hand, is adored by many because the seamless body is not only easy on the eyes, but also to clean. You just need to wipe it for it to stay glossy and brand new for a long time. It’s also dishwasher-safe. You can simply load it into the top shelf of a dishwasher and have it cleaned. Sturdy and well-built, it will not disappoint you in terms of quality as well. It has no plastic parts and neither will it rust with time. I also noticed that, unlike most similar models, Ovalware has a well-thought-out design. The handle is turned out to avoid retaining heat and it feel so right and balanced in my arms. This is indeed a kettle that won’t worry you about accidental burns. What’s more: Ovalware comes with a special opening on the lid. This is to make room for a thermometer and get a quick reading. For the price, I really think it’s a steal. The only point to note, however, is that the kettle doesn’t work well on an induction cooktop. This is because the bottom isn’t flat, and doesn’t make complete contact with the stove. Thus it takes double the time to heat up compared to an electric or gas stove. If you want great coffee, without having to dig too dip into your pocket, then Ovalware is a great option to consider. I honestly haven’t come across a better unit with such an affordable price tag. It’s built so well, though nothing fancy, that it can sustain a good few years of daily abuse. Bonavita would’ve looked like a typical electric kettle if not for its gooseneck spout. In fact, it all comes down to this very spout. It’s smooth and long enough to pour water out with great control. The flow is even and steady – extracting all the flavours from your grounds and leaving you no room for complaints. The ergonomic handle deserves to be praised as well. It gives a solid grip on the kettle, and comes with a finger notch to help you handle it even better. The body is made mostly up of stainless steel, and a few plastic parts that are of good quality. It, by no means is a heavy duty unit. But if used with care, will last way past the warranty period of 2 years. Many have complained about rust at the bottom of Bonavita. But they’re actually mineral build-up that looks so much similar to rust. If you use a proper descaling solution and scrub it, the scales would come off easily – making your Bonavita look brand new again. The short electric code might irk you a little, but be rest assured that the heating process is pretty fast. Once the water reaches the ideal temperature, the kettle will automatically shut itself off. Bonavita is an excellent choice for those looking for a kettle with its own heating source, automatic shut-off, great pouring control – all at a reasonable price. It’s also pleasant to look at, and durable enough to live up to your money’s worth. Not all pour-over kettles will let you boil water in an induction cooktop, but the Fino does – not to mention in record time. Though its entire body is made up of 18/8 stainless steel, the flat bottom is made up of 18/0 stainless steel to work well with magnetic induction. But supporting magnetic induction comes at a price of exposure to rust. So you need to make sure the bottom is bone dry after every use. Since the overall quality is great, proper maintenance will only assist in lengthening its lifespan. Apart from the obvious good looks and brushed stainless steel finish, Fino excels at pouring through its gooseneck spout. The handle plays a great role in this as it is located away from the body. It actually helps you to maintain a safe distance from the hot kettle body. I liked everything except for the lid of the kettle, which doesn’t fit snugly. If you tip it all the way, it’ll fall off. But thanks to the good position of the spout, the lid might not try your patience. Even the last drops of water will easily come out of it. If you’ve been looking for the perfect fit on your induction cooktop, then look no further, Fino is the one. It’s easy to use, well-balanced, and comes with an affordable price tag. There are a few minor gripes regarding the size of the bottom and the lid, but they can easily be overlooked. In fact, Fino remains as one of the highly rated models on Amazon. Pour-over kettles are almost similar to a typical kettle, except for a gooseneck spout. So you might be under the impression that buying one is as easy as one-two-three. You’re right – it nearly is. But the market has too many options to offer you, and you’ll soon find yourself consumed by them. That’s basically why I put a buying guide together. It’d help you know what exactly you need to search for and what type of kettle you need. The gooseneck spout is the first thing that sets a normal kettle and a pour-over apart. It gives control over the water you pour on top of the grounds – better the control, the more delicious your cup would be. So make sure you buy a kettle with the best gooseneck. Some are not located in the ideal position, leading to leaks and rust over time. Some goosenecks are positioned in a way that the kettle needs to be tipped over to get half of the water out. So make sure you look into these minor yet important details before making a buy. A manual kettle is used to boil water on a traditional cook top. It requires you to manually check the temperature. So these kinds of kettles don’t usually come with a whistle. Electric, however, has its own heating source and shuts off automatically when the water is boiled. They also have a temperature control option. So naturally, they’re a tad expensive compared to a manual one. Look for the handle – twice. I’ve seen enough of kettles with plastic handles or a handle turned in. They don’t last, and while they do, they end up burning you. Some handles are ergonomic, and they are a delight to use. There are wooden handles too, but focus on where they’re located and make sure they’re turned a good distance away from the kettle. Almost all kettles are made up of stainless steel. However, not every kettle is compatible with an induction cooktop. In my list, only the Fino is made to boil water even on an induction stovetop. Most stainless steel kettles feel too thin. But that’s actually helpful to boil water fast and save energy. So don’t disregard a kettle based on its weight or feel. They aren’t expensive, at least not the ones in my list – so you can now release the breath you’ve been holding. Usually, a decent pour over kettle can be bought under $30, but the better they look and last, the more expensive they become. So weigh your satisfaction with the price and decide on your final buy. My list would give you a head start on your search for the ideal buy. If you’ve been thinking that pour-over coffee from freshly ground beans taste the best, wait until you try it from a pour-over kettle. It may not seem to be that great a deal, but it indeed is. 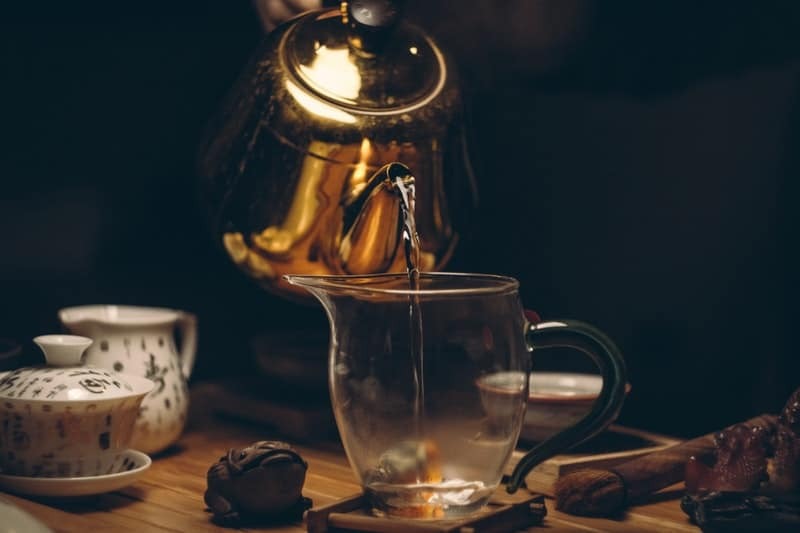 Consistent extraction from coffee or tea grounds makes a substantial difference in taste, and to experience that, finds yourself a kettle that fits the bill. What's the best espresso machine of 2018? Why is it that none of these whistle? Lovely as they are, that’s a deal breaker.